C V Kelly Park was originally constructed for Rugby League in 1928, and has also been used for senior and junior athletics since 1973. 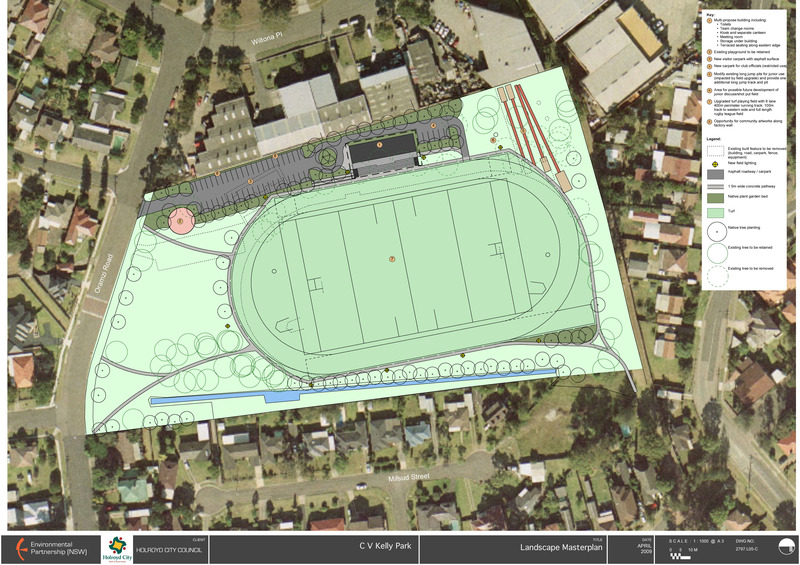 The park’s popularity as a sportsground and a number of issues related to field size and facilities made it necessary for Council to holistically consider the upgrade of facilities for the park. Environmental Partnership undertook extensive consultation with the relevant sporting clubs to ensure that the masterplan would address their existing and future requirements. 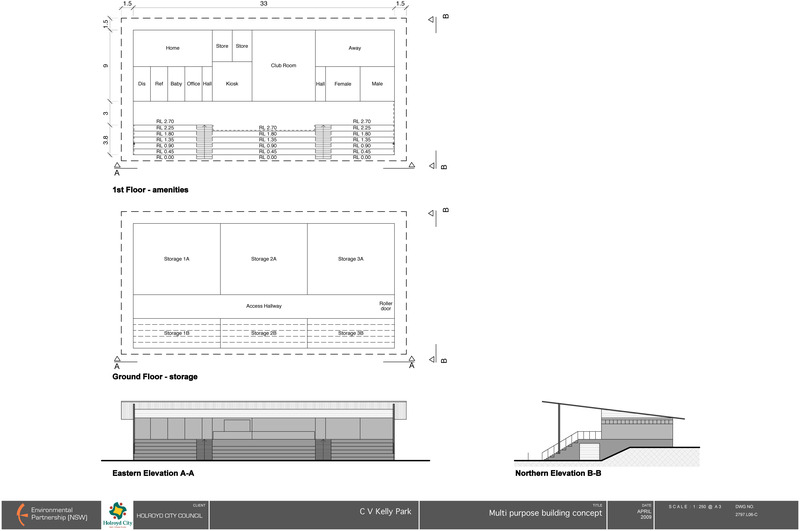 The new park design allows for an increased field size and proposes a new multi-purpose building located adjoining the field half-way line on the western side of the ground. Additional open grass space will be created in the park by consolidating the carpark along the western boundary. Upgraded pathways, lighting and tree planting are also proposed to improve access and amenity in the park.